Commodities can be very powerful investments but they also come with their fair share of risk. In recent years, investors and advisors have begun to adopt commodities into portfolios, as many have seen the benefits of adding these low-correlated assets to a group of holdings. The launch of a robust lineup of exchange-traded products that utilize both physical commodities and commodity futures contracts has brought commodities to the masses; they’re no longer reserved for the largest and most sophisticated investors. But as these assets have become more widely available, so too has confusion increased on how to properly use them for clients without getting burned. While commodity education must be an ongoing process, there are a number of basics that can enhance overall understanding, identify opportunities and limitations, and generally promote a better experience with these hard assets [see also The Ten Commandments of Commodity Investing]. This might seem like a very basic point but it is of extreme importance for any financial professional considering the addition of commodities to investor portfolios. Just about every account of a commodity investment gone bad comes back to a failed understanding of this concept, which can have a huge impact on bottom-line returns. Many investors establishing positions in commodity-focused products–whether futures contracts, ETFs, or some other type of security–do so because they believe that the spot price of that natural resource will rise. But it’s important to understand that the majority of commodity products do not offer exposure to the spot price of the underlying resource–that’s only one of the factors that ultimately contributes to bottom-line returns [see also Three Things Wall Street Journal Didn’t Tell You About Commodities]. Most commodity ETPs, for example, utilize futures contracts to achieve their investment objectives. And futures-based strategies often deliver results that vary dramatically from hypothetical investments in spot commodities (which, in many cases, are not practical; it would be prohibitively expensive to take physical possession of livestock or natural gas). Changes in the spot price of the underlying commodity. The slope of the futures curve. Interest earned on uninvested cash. In many environments, factor #2 above can have a huge impact on returns–frequently acting as a drag on performance. Bottom Line: It’s tough to invest in spot prices–and the closest alternatives often deliver very different returns. Recent years have seen record low interest rates and investors starved for strong yields. As such, many have turned to the comfort of dividend-yielding securities to maintain a steady stream of income for their portfolios. While this method has generally been effective, it has caused investors to overlook some vital asset classes such as commodities. When most investors think of commodities, they think of futures contracts or ETFs that track said futures; nowhere in their mind is there a dividend yield. But there are a number of more indirect plays on the commodity world that offer dividend yields that should not be overlooked [see also 12 High-Yielding Commodities For 2012]. To find these yields, investors and advisors will have to look to the equity side of the equation. This will typically involve miners or producers of commodities who still have heavy ties to the underlying asset but are not necessarily a direct play on it. A great example comes from the Junior Gold Miners ETF (GDXJ). This fund tracks a basket of small-cap gold miners to allow investors to make an equity spin on this precious metal. But GDXJ also has another draw: its dividend yield is just north of 5%, allowing it to amass more than $2 billion in total assets. The takeaway here is that investors searching for yield can still add the vital exposure of commodities to their portfolio. It simply requires a bit more research to find the securities that are a good fit. Bottom Line: Commodity investments can still offer yield, you just have to look for them. There’s nothing to ruin a stellar investment call like a huge tax bill–especially when it’s unexpected. When it comes to investing in commodities through exchange-traded products or other strategies, there are a number of tax-related nuances that can catch investors off guard. It’s worth the time to carefully research the tax implications of an investment before establishing a position, as the details of product structure can end up having a big impact on bottom-line returns. For example, physically-backed gold ETFs, such as the Gold SPDR (GLD), are taxed at the collectibles rate of 28% regardless of the holding period. This means that any profits earned from this precious metal will incur significant obligations to Uncle Sam [see The Best Gold ETF…Isn’t An ETF]. Another nuance relates to products that use futures to achieve their objectives and structure themselves as partnerships (DBC, USO and UNG all fall into this category). These commodity ETPs will deliver a K-1 to investors at the end of the year, and will incur taxes at a blended rate of about 23% regardless of the holding period. Moreover, tax liabilities are generally incurred on an annual basis–even if you didn’t sell a position. Though some advisors may be hesitant to use ETNs due to the credit risk associated with these debt instruments, these vehicles can potentially offer some material tax advantages over other structures. ETNs are more “traditional” from a tax perspective in that they are taxed at the capital gains rate depending on holding period, and generally only incur a tax liability when a position is closed. Bottom Line: The tax consequences of commodity investments can be confusing, but incredibly important, to bottom-line returns. There are a number of different factors that can influence commodity prices, ranging from supply disruptions, the strength of the U.S. dollar, to technological developments and more. And then there’s China, the driving force behind the global economy at present and a major consumer of everything from crude oil to soybeans. China is in the midst of a massive shift in demographics; the middle class is swelling, and more and more Chinese are moving from rural areas into the cities. This is leading to a surge in demand for all types of commodities, including copper needed in construction, platinum needed in automobiles, and corn and beef needed for higher quality diets. Given the massive size of China and its relative lack of home-grown natural resources, the country has become one of the largest buyers of a wide range of commodities. In other words, China’s appetite for raw materials can go a long ways towards determining the supply/demand outlook for a commodity [see also 25 Ways To Invest In Crude Oil]. The “China factor” is certainly a net positive for commodity prices; the trends playing out there give support to commodity prices over the long haul. But over shorter periods of time, China can swing prices in either direction. News of a slowdown in China can pinch copper prices as demand for new buildings there dwindles. If Chinese GDP growth comes in lighter than expected, it could weigh on soybean prices. Bottom Line: The world’s second-largest economy carries a lot of sway over commodity prices; China’s ups and downs often ripple through markets. In other words, it is useful to perhaps think of backwardation as an indication of tight supplies for a commodity, which can precede a surge in prices if there is a shortfall of the resource in question. Bottom Line: Keep an eye out for backwardated futures curve; this phenomenon can be a sign of opportunity. One of the primary reasons for investing in commodities is for the diversification benefits they offer. In most cases, it is safe to assume that commodities will generally move on their own, apart from markets, as they typically have completely different price drivers. However, diversification is never a guarantee and is something that investors should always look into. A perfect example comes from gold and silver, two of the most popular commodities in the world. Investors have been using these precious metals as safe havens for years, but these assets have actually featured a high correlation to major benchmarks over certain periods of time. In 2008, 2009, and 2010, both gold and silver featured a correlation of more than 0.57 to the S&P 500; a score that hardly qualifies as diversified. The highest correlations came in 2009, when gold scored a 0.78 and silver scored a 0.84. The lesson here is quite simple: just because you have invested in commodities does not mean you are properly diversified. It is important to always look under the hood of your positions and analyze their behavior [see also Gold And Silver In A Correlation Bubble?]. Bottom Line: Diversification is not a guarantee; always look deeper into a commodity’s price drivers. In recent years, utilizing exchange-traded funds to gain access to commodities has become an increasingly popular method. Unfortunately, many of the most popular commodity ETPs utilize a front-month rolling strategy, which can lead to big losses for a position. The products that employ this strategy are known as “first-generation” products as they were the early entrants to the market. A front-month roll implies that a fund invests in the nearest maturity futures contract of their respective commodity. At some point during the month, the fund will automatically sell out of its current contract and buy into the next nearest maturity (the front month) in order to avoid delivery, but this can create a big issue [see also What Is Contango?]. Contango is the process whereby near-month futures are cheaper than those expiring further into the future, creating an upward sloping curve for futures prices over time. This means that the automatic roll process that these funds execute will sell low and buy high automatically. For example, assume the current month’s natural gas contract is trading for $1, the next month’s is priced at $2, and the month after is priced at $3. This would be a contango pattern. In this example, an ETP that utilized the front-month roll would sell the current contract at $1 and buy the next at $2, instantly erasing value. This process can last for months depending on the state of a futures curve. Luckily, there are a number of ways to avoid this issue. There are now a wide variety of ETPs that aim to eliminate contango through differing strategies that can save investors some serious cash. Bottom Line: Beware of a front-month roll and how contango and backwardation will impact it. When it comes to commodity investing, many investors commit the sin of energy bias, whereby the majority of their commodity holdings fall under the umbrella of an asset like crude oil or natural gas. To be fair, energy products are among the most popular in the commodity world, but exhibiting a bias towards these investments can have some adverse effects on your portfolio. Energy products are quite often highly correlated to the movement of general markets, meaning that they will move closely in line with something like the S&P 500 [see also The Ultimate Guide To Gold Investing]. One of the main reasons that commodity exposure is essential to a portfolio is the low correlation and diversification benefits that these investments offer. An energy-heavy portfolio will likely only steepen your losses on bad days, which may not be enough to be erased by days in the black. Along those same lines, many investors see the popularity in gold and place most of their commodity exposure in the precious metal. But as noted above, gold is not always the best diversifier and is often used as a trading/speculative instrument. Because of this, relying on the yellow metal to provide your portfolio with a diversified base may end up burning you in the end. Instead of focusing on the most popular commodities, investors should look to some of the lesser-known hard assets or funds that invest in a multitude of futures contracts. Commodities like corn, cotton, copper, and many more deserve an equal place in portfolios, ensuring that investors do not overlook them [see also Invest Like Jim Rogers With These Three Agriculture Stocks]. Bottom Line: There are dozens of commodities out there and each deserve equal attention. 9. Watch Out for That K-1! With a number of commodity investments, namely exchange-traded products, there are certain tax ramifications that not all investors are aware of, one of the them being the K-1 form. As a general rule, gains and losses for a typical ETP are reported on Form 1099, but there are a number of ETPs that are structured as partnerships and as such, will issue a K-1. There is a fair amount of confusion over what exactly a K-1 is and what receiving one of these statements means. A K-1 is a tax document used to report a share of profits and losses from interests in limited partnerships. These documents become relevant because many exchange-traded products are technically structured as partnerships, meaning that investors are actually limited partners. Partnerships are typically not required to pay taxes directly, instead passing through those obligations to individual partners. They do that by sending a K-1 to partners each year detailing their interest in the operations of the partnership. Be sure to check out ETFdb.com’s Screener: for a full list of ETPs that issue a K-1. Many investors wish to avoid K-1s primarily because of the inconvenience caused. Schedule K-1 tends to be one of the last documents provided to taxpayers, potentially delaying the timing of their filings. For advisors with hundreds of clients, the administrative burden associated with K-1s can be less than optimal. But it should also be noted that receipt of a K-1 generally means a taxable event–even if the related position has not been liquidated. In other words, securities that issue a K-1 may require investors to report and pay taxes on gains annually, even if the security has not been sold [see also 25 Ways To Invest In Natural Gas]. For some, K-1s are not a significant issue–simply a minor inconvenience. Others try to avoid these schedules at all costs, preferring to use exchange-traded products that can be reported on a Form 1099. Always do the research to understand the liabilities you will take on come tax season. Bottom Line: K-1s can be a headache come tax season, make sure you are prepared depending on your holdings. Commodity investing can be an expensive venture, and if one is not careful, it can be easy to erase value through expenses like commissions and other fees associated with trading. One of the first things every advisor should do is to take a look at their client’s holdings and see if there is a cheaper way to establish the same positions. Oftentimes, there is a corresponding exchange-traded product to a futures-based strategy that can offer a much more enticing expense structure. The constant shifting of positions required by commodity investing can quickly eat away bottom-line returns as commission fees rack up quickly. Not to mention the capital gains on a short-term trade. Failing to consider one’s expenses is essentially allowing the markets to steal from you [see also Why You Should Invest In Natural Gas: The Fuel of the Future]. When considering your commodity-trading strategy, it is important to see the bigger picture. Is there a fund that trades the same contracts for a lower price? Is there a company that offers good exposure to a commodity that doesn’t require the constant movements needed for futures investing? And most important of all, is there a cheaper way to employ the same strategy? While a few measly basis points may not seem like a lot, consider a portfolio of $1,000,000. Let’s say that each year that portfolio is subject to fees of 1% of total assets (not an uncommon expense for active traders). By eliminating just 0.25% from that figure, investors could save $2,500 every year. Drag that out over ten years of trading and you have an extra $25,000 sitting in your pocket. Commodity investing can be expensive, but there are plenty of ways to beat the fees, it simply takes diligent and careful research. Bottom Line: There are always cheaper alternatives to consider. Investing in commodities generally means holding either the actual physical natural resources (generally gold or another precious metal) or holding futures contracts that are linked to the commodity. But there is another option for tapping into this asset class that takes an indirect route to commodities; stocks of companies whose operations revolve around the exploration, extraction, and sale of commodities. For example, stocks of gold mining firms can be seen as an indirect investment in gold [see also Forget Gold, Why Your Portfolio Needs Silver]. These companies tend to exhibit relatively strong correlations to the underlying resources. That’s because the profitability of these companies depends on the market price for the goods they sell. In the case of a gold miner, higher gold prices will generally translate into higher earnings since they will receive more money for each ounce of the metal they uncover and sell. Similarly, oil stocks tend to perform well when crude prices climb and timber stocks do well when lumber prices are elevated. The benefit of this approach is that stocks don’t exhibit the contango that is common in commodity futures contracts–often to the detriment of positions in these securities. The above chart shows the stock price of Devon Energy (DVN), a popular natural gas producer, and the futures-based UNG. The difference in returns is readily noticeable as DVN was able to vastly outperform UNG despite the massive decline in natural gas prices over this time period. It should be noted that stocks of commodity-intensive companies will not always exhibit perfect correlation with the underlying natural resource. These stocks are, after all, stocks–meaning that they will be impacted by movements in broad global equity markets. That may diminish one of the appealing attributes of commodities; the potential for diversification benefits and a low correlation with stocks and bonds. Bottom Line: Stocks can offer a unique spin on commodity investing. Commodity investing falls beyond the radar of many investors for a multitude of reasons. These assets can be extremely volatile and require constant supervision. For those who are unwilling to do that, you can be almost certain that your position will turn sour at some point. 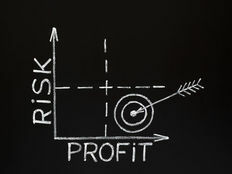 While the rapid spread of commodity ETPs has been a crucial movement for offering commodity investing to the masses, it also gives some investors a false sense of security; while many know futures contracts to be dangerous and volatile, they do not think the same thing of a fund that tracks said contracts. No matter what structure your commodity investment falls under, it is important to always keep a close eye on its behavior and macro-economic trends. With many commodities, it’s not uncommon to see daily movements of 2% or 3%. If one were to neglect a position on a bad week, you could be looking at losses of 10% or 15%. If possible, always use the safety of stop-loss orders and make sure you have a specified plan with each position that you enter. Those who take the time and care to treat these investments with the reverence they deserve can be payed off handsomely, but those who take these securities lightly often get burned. Bottom Line: Make sure you understand your investment before diving in. Commodity investing can often be difficult to manage and comes with a fair amount risk. But most of those issues and risks are associated with a futures-based strategy. Investors looking to simplify this process can look to physical exposure. There are now dozens of ETFs and mutual funds that focus their assets on a physical commodity, like the SPDR Gold Trust (GLD), which physically holds gold bullion in a vault in London, England. While these assets still carry the same risks as any other commodity, they do not fall prey to contango or any other issues that often infect a futures investment. For many investors, physical exposure may be the perfect middle ground as it still allows you to have a direct position in your favorite commodity without some of the hassles that are typically involved [see also Why No Investor Should Own GLD]. That being said, funds that feature a physical structure tend to only focus on a select few commodities as something like a physical natural gas fund makes little sense. In the case that there is no fund available for your investment objective, or you simply do not trust the fund (many investors accuse these vehicles of not actually holding what they claim to), you can always physically buy the commodity and store it yourself. Note that this is by far the most illiquid way to invest in hard assets but the option is always on the table. Bottom Line: Physical exposure can offer an enticing alternative to futures investments. When it comes time to make commodity allocations or recommendations for clients, taking into account the structure of the underlying security can make all the difference. The difference between ETFs and ETNs may seem insignificant, but the nuances of each of these vehicles makes them different animals altogether. ETFs, or exchange-traded funds, are structured as partnerships in which investors have a stake. Because of this, a number of commodity ETFs distribute K-1 tax forms during tax season. For an individual investor this may be no big deal, but an advisor with dozens of clients could be in for a rough April if some of these ETFs were utilized in underlying portfolios. It should also be noted that ETFs are liable to tracking error, which can hurt a position [see also Kings Of Commodity Dividends: ETF Style]. ETNs, or exchange-traded notes, are designed as debt instruments and as a result do not incur any tracking error. But with the better tracking comes its own set of risks; as a debt instrument, all ETNS are subject to credit risk from their underlying issuers. Should the issuer go down or fall under financial hardships (not an unlikely scenario in the current environment), investors could bare the brunt of the blow. To some, this risk may seem far off, but keep in mind that Lehman Brothers had several ETNs that went down with the firm in the financial crisis of 2008. As for taxes, ETNs will not distribute K-1s and could save you a major headache when it comes time to handle your clients’ obligations to the government. Bottom Line: The difference in the underlying structure of your asset can make all the difference. 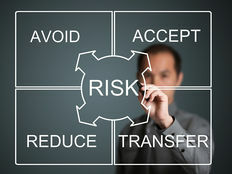 Oftentimes, investors will choose the most popular security or fund to gain exposure to commodities. While a fund’s popularity often speaks to the quality of its strategy, this is not always the case. Many times, there are smaller alternatives that will outperform their larger counterparts. One of the prime examples comes from two ETFs that both track natural gas futures: UNG and GASZ. While UNG has been one of the worst performing ETFs in history, its competitor tracks the same commodity with a different strategy and very different returns [see also Why You Should Sell UNG, Buy FCG]. The above chart compares the performance of GASZ and UNG since the inception of the former to April of 2012. It is clear that during this time period there was a better fund for obtaining exposure to natural gas futures, but investors did not seem to know it yet. During this time frame, GASZ had $12.8 million in assets (just 1.6% of the assets that UNG holds) and an ADV of roughly 12,000. Despite its small size, GASZ has historically been a much better investment, and this phenomenon does not end with this example. There are plenty of commodities that are tracked by multiple funds and investors would do well to give them each a thorough look. Bottom Line: The biggest fund for each commodity is often not the best. With the rapid rise of commodity-based ETPs, it should come as no surprise to see a fair amount of backlash against these investments. But for the most part, this backlash is unwarranted and comes from those who simply do not know how to properly use these investments. One of the biggest problems with futures-based ETPs (the majority of commodity exchange-traded products) is that investors see their structure as some kind of safety net that isn’t provided by futures contracts. This is a false assumption; despite being under a different structure, these funds are specifically meant for active traders and behave like futures contracts. One of the best ways to decide if a fund is right for you, at least the first-generation products like UNG and USO, is whether or not you would invest in individual futures. If the answer is no, you probably do not belong in the ETF to begin with. Remember, commodity investing was originally designed for farmers to hedge their crops and for active traders. For many commodity products, if you are unable or unwilling to monitor the position on a consistent basis, you will most likely get burned [see also How To Lose Money Investing In Commodities]. Another common complaint is that commodity ETPs get a bad rap for falling prey to contango and causing a number of investors to lose large amounts of money. To put it rather bluntly, the fault is all on the investor’s part. These products are dangerous and need to be treated with the utmost care in order to be properly utilized. Contango can be avoided by some basic research and knowledge of when to buy and sell certain assets. As the ETF industry has continued develop, there are now a number of next-generation products that have investment methodologies. Though they are currently few in number, there are multiple options that seek to fit into a longer-term portfolio. Make sure you always look under the hood for how exposure is allocated and especially look at how the roll process is executed. Bottom Line: Commodity ETPs do not deserve the bad reputation that follows them. Investors sometimes overlook how the strength of the U.S. dollar impacts commodity prices, but this consideration is an important one as it can have a material impact on bottom-line returns. The main reason for why the dollar holds influence over commodities is the simple fact that natural resources are priced in U.S. dollars. As such, when the value of the U.S. dollar rises, it can drag down commodity prices because it takes more dollars to buy the same basket of goods. Likewise, when the value of the dollar drops, commodity prices rise with increasing demand as commodity buyers have more purchasing power [see also Five Commodity MLPs With Sky High Yields]. This inverse relationship is by no means perfect, although financial advisors and traders alike can certainty benefit from keeping an eye on it. The most common way to do so is by monitoring the Dollar Index, a benchmark that measures how the U.S. greenback is valued against a group of other major currencies. Don’t expect for commodity prices to inch higher as the Dollar Index ticks lower; the inverse relationship between these two asset classes is generally best observed over a long time horizon. Bottom Line: The greenback can have serious ramifications on your positions. One the simplest but most important rules to remember is that different commodities means different returns. Very different. Because most commodities are produced in completely different areas of the world through various methods, very few of them have the same price drivers. This has lead to some major discrepancies among commodities over certain time periods. Perhaps the best example comes from comparing gold and natural gas over the last few years [see also Three Reasons Why Gold Is Overvalued]. The above chart shows the difference in returns of UNG and DGL, two futures-based ETFs that track natural gas and gold, respectively. This chart dates back five years, showing just how big of a discrepancy can lie between two hard assets. Always keep in mind that commodities have very different price drivers and no two are alike. Bottom Line: No two commodities are the same. The commodities market is global, however, it pays to know where the major producers of the resources you invest in are located. Just as U.S. stocks are more likely to be impacted by domestic developments than equities in Europe, commodities, which are largely concentrated in certain parts of the globe, are also more closely tied with regional economic activity. Financial advisors should be aware of developments in the geographic locations where the commodities they invest in are produced. Prices can be impacted by factors such as weather conditions or political turbluence [see also Powerhouse Producers: Cocoa, Platinum, Rare Earth Metals]. In addition to supply and demand, speculation is another driver of commodity prices, which is why financial advisors can get an edge in commodity investing by being aware of geographic factors. Keeping an eye on weather patterns may seem trivial, however, the impact a single storm can have is tremendous; for example, the Ivory Coast is the world’s leading producer of cocoa, and as such, it pays to keep an eye on local developments as they are bound to have a major impact on prices. Bottom Line: Knowing where commodities are produced can give you a leg up. This piece of advice is not meant to insult your intelligence; it is simply crucial to always be aware of the time when trading. Being mindful of when you open and close positions in the commodity futures market is perhaps one of the most overlooked tips among investors. Many novice traders fail to take into account when commodity futures markets are most active throughout the day before establishing a position. The advice here is very straightforward; be mindful of when exactly you buy or sell out of a position because commodity markets tend to be most active, and thus most volatile, in the hours leading up to Wall Street’s open and through lunch time [see also Three Legendary Commodity Investors]. Higher trading volumes are by no means a bad thing; however, increased trading activity does translate into higher volatility, which means wider bid-ask spreads. As such, it’s prudent to utilize limit orders to ensure that you get in (or out) at the exact price you are willing to pay. Because commodity futures are traded 24 hours a day throughout the trading week, investors and advisors alike have the added responsibility, and flexibility, of being able to monitor and adjust their positions throughout the day and night as needed. Bottom Line: Keep one eye on the clock. Recent years have seen gold and silver emerge as investor favorites. But with the popularity of the metals came the general shunning of platinum and palladium, the other precious metals. While investment in these two hard assets is not quite as popular as gold and silver, they are a bit more practical and may make more sense from an investing standpoint. Palladium, for example, has the lowest melting point and lowest density of the PGMs, and about half of the world’s palladium is ultimately used in catalytic converters. Those devices are responsible for converting hydrocarbons and carbon monoxide from automobile emissions into carbon dioxide, water vapor, and other non-harmful forms [see also Does GLD Really Hold Gold, Or is it a Scam?]. Platinum is a dense, malleable transition metal, and as a member of the platinum group of elements it is generally unreactive. It’s a relatively recent discovery—scientists first became aware of its existence in the 18th century—but certain physical characteristics have made it ideal for a wide variety of industrial applications. About half of the supply of platinum goes towards emission control devices for automobiles; as a catalyst it allows for the combustion of unburned hydrocarbons from the exhaust into carbon dioxide and water vapor. Jewelry and electronics are other significant end uses, and platinum is also used in certain dental applications and thermometers. Because these metals have a much more frequent use in the industrial world, they can be thought of as a better play on macro-economic conditions than some of the speculation and trading aspects that plague gold and silver investments. For those looking to invest in these two metals, there are a number of ETFs to help you take advantage of these assets. Among several broad-based products are included the ETFS Physical Palladium Shares (PALL) and the ETFS Physical Platinum Shares (PPLT). Platinum is more widely represented as there are several other products that also utilize a futures-based strategy [see also Why Warren Buffett Hates Gold]. Bottom Line: The other precious metals can offer a unique play on this sector. The Commitment of Trader report, or COT for short, is one of the most valuable reading materials that commodity investors can keep up with on a regular basis. The COT report is published weekly (every Friday afternoon) by the Commodity Futures Trading Commission. It shows where large speculators, commercial, and small traders have placed their bets in terms of open interest information. This report allows investors to gauge how different market participants are positioned across currencies, stock indexes, as well as commodities, offering a high level overview of the general sentiment in the market [see also 25 Ways To Invest In Silver]. The only limitation to the COT report is the fact that it’s based on open interest information from the previous Tuesday, which inherently makes it three days late. Nonetheless, the information offered can still be used to gauge the overall sentiment in the market, offering valuable insights to investors and financial advisors alike. Bottom Line: The COT report can offer valuable insights for your trades. Options contracts on commodity futures may sound like an intimidating proposition but these financial instruments offer unparalleled versatility to those who can harness their power. The inherent difference between commodity futures and options is surprisingly simple; options can be defined as contracts that allow the buyer the right, but not the obligation, to buy or sell a given commodity at a specified price within a specified date range. Futures are different animals by nature because they obligate both parties to uphold their contract terms upon expiration [see our Commodity Futures Trading Center]. By utilizing options, financial advisors can help protect their clients’ positions from adverse volatility in the market. 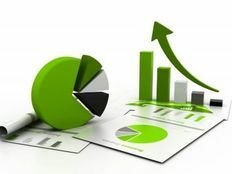 Savvy investors can execute options-trading strategies that are designed to generate consistently positive returns in virtually any market environment, similar to some of the more complex equity-options strategies. Furthermore, perhaps the most appealing aspect of using options on futures is the fact that investors can potentially realize hefty profits while limiting their downside risk to the amount paid up front for the option. Bottom Line: Options on futures contracts can offer lucrative opportunities. Investors looking to establish exposure to commodities through exchange-traded products often have multiple products from which to choose. It would be much easier if there were products out there that are always the right choice–but that’s not the case. In the universe of exchange-traded commodity products, different tools are appropriate for different objectives. Above, we highlighted the potential to get burned with rolling front-month strategies; the high costs incurred through roll yields can erode returns significantly over the long term. But in some instances, the front-month strategy is ideal. For other objectives, it makes sense to spread exposure along the maturity curve. Natural gas is a great example. The United States Natural Gas Fund (UNG) is the best tool available for those looking to bet on a short-term jump in prices; if your anticipated holding period is just a few days, this product will deliver the greatest sensitivity to spot prices and generally deliver the best returns if there is a spike. The Teucrium Natural Gas Fund (NAGS) also holds natural gas futures–but is a very different product from UNG. The NAGS portfolio is spread across multiple maturities, some of which are relatively far down the curve. This fund was constructed with those interested in longer-term exposure to natural gas in mind; the lower turnover and timing of rolls was put in place with the goal of minimizing the adverse impact of contango and coming closer to a replication of spot prices over the long haul. UNG and NAGS are both fine products. Choosing the one that makes sense for your clients depends on their objectives. Bottom Line: There is no “best ETF”, only a fund that makes the most sense for you. There are a number of places to turn to when it comes to commodity investing, but what will make your life easier is utilizing the free resources at your fingertips. Commodity HQ is dedicated to offering the most up-to-date commentary on the industry as well as a suite of other resources that come at no cost. Investors and advisors can utilize our Heatmap Tool, Dictionary, and Library, in addition to the free content already provided [see also Doomsday Special: 7 Hard Asset Investments You Can Hold in Your Hand]. Apart from what CommodityHQ.com offers, there are a number of other websites that also do a great job of keeping investors in the commodities loop. Hard Assets Investor is one of the best in the business and has a large amount of information available at no cost to readers. For those looking for more actionable ideas, check out RCM Asset Management, led by Matthew Bradbard, who frequently contributes to Commodity HQ. Matthew provides daily commentary on the industry and makes recommendations on nearly all of the major commodities by explaining his positions and how he is currently managing his assets. Bottom Line: Investors have numerous resources at their fingertips, use them!